As a motivator, I love to meet other motivational magic makers that have taken different paths in their magic making journey. As a motivational speaker and magician, I'm interested in publishing material that is suitable for the audience and followers in this area of my life. Currently, I've produced a wonderful amount of DVDs and books on various subject but nothing as of yet pertaining to attitude and life. I was fortunate to attend and be a co-presenter at a book publishing event and seminar where I got to meet the author of Pay it Forward, Catherine Ryan Hyde! Her highly successful story became a movie many are familiar with and spending an afternoon with Catherine was very interesting. She brought a ton of her various books and we all shared business ideas to motivate new authors in their journey to press or digital books publishing. It was a real treat to be part of this event and meet the lady that started it all! 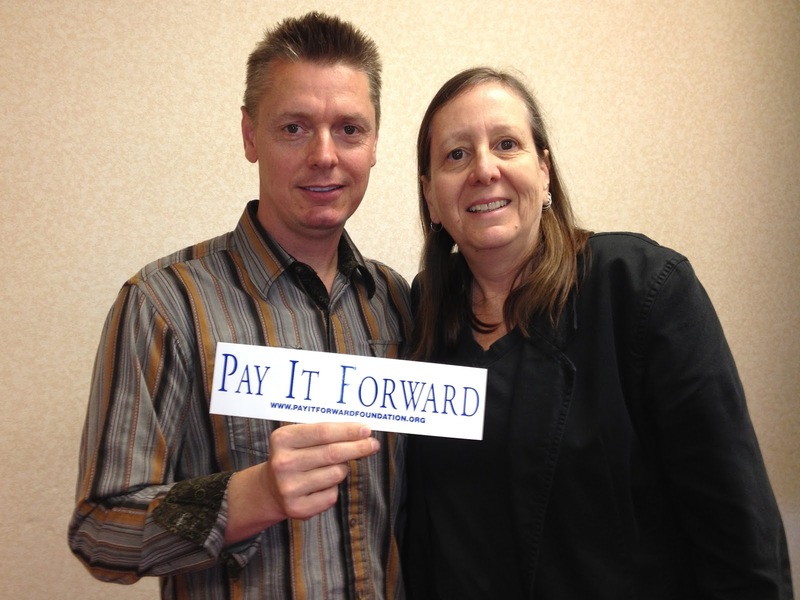 If you are interested in learning more, Catherine Ryan Hyde has a foundation called The Pay It Forward Foundation. Her ongoing collection of books can be found on her Amazon Author Page. If you are a Twitter fan, you can follow her on her Twitter page. It's amazing to hear the behind the scenes to top selling books and the change in the publishing industry. It's enough to make you want to avoid traditional publishing completely! You'd think a best selling author would have it easy. However, Catherine hit top, then bottom then top again. Most importantly, she encouraged us to have a focused attitude to continue forward and adapt regardless of the roadblocks life or business throw at us. I just hope this small mention of my fun afternoon with Catherine reminds us to Pay it Forward. It's a wonderful thing.